Learn botanical and fruit words, work your way through mazes, and share Teletext stickers with today’s collection of apps and games. Montezuma Puzzle 4 Premium is available for free for a limited time. It has a 4.5-star rating with a total of 653 ratings. Moona Puzzles Fruits learning games for toddlers ($2.99 → Free, 233.0 MB): Teach your child new botanical and fruit words with Moona Puzzles Fruits. Parents and teachers. Moona Puzzles Fruits will help develop a positive attitude towards learning through its series of mini-games. It includes five game types in all, requiring your child to complete images, write words, solve puzzles, memorize cards, and match objects. Moona Puzzles Fruits includes more than 30 levels, professional narration, and support for eight languages. 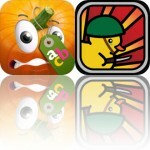 Moona Puzzles Fruits learning games for toddlers is available for free for a limited time. It has a 5-star rating with a total of 7 ratings. PixelMaze ($1.99 → Free, 22.1 MB): Work your way through blocky mazes in PixelMaze. Puzzle game fans. PixelMaze is available for free for a limited time. It has a 4.5-star rating with a total of 101 ratings. 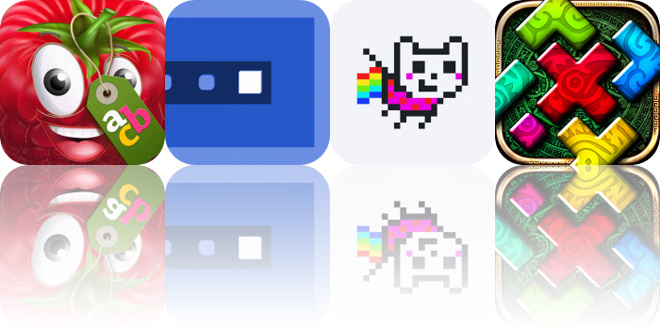 Teletext Stickies ($0.99 → Free, 2.1 MB): Start a conversation with these Teletext stickers. Sticker collectors. 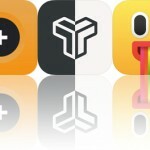 Each of the more than 40 animated stickers have been lovingly crafted pixel-by-pixel. You’ll find funny faces, adorable critters, memes, and holiday items. Just peel and stick. Teletext Stickies is available for free for a limited time. It has a 4.5-star rating with a total of 11 ratings.